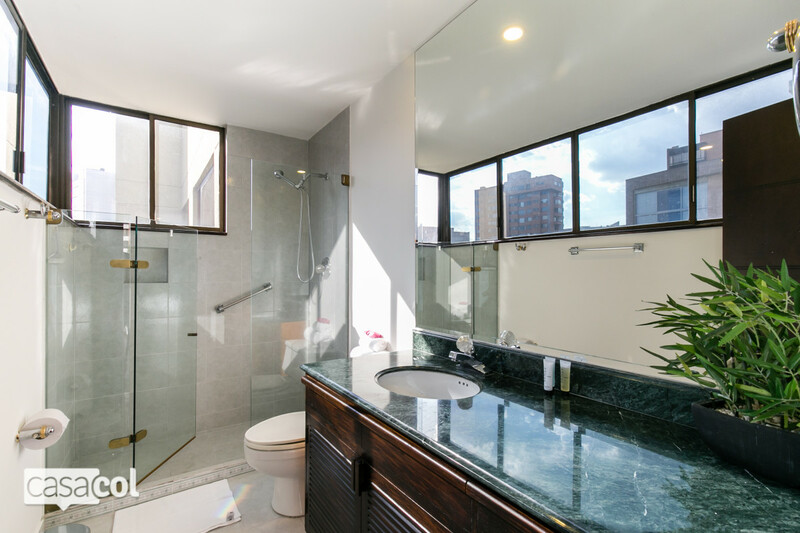 Castilla Penthouse is a totally remodeled 2-bedroom penthouse with new furniture and accessories. 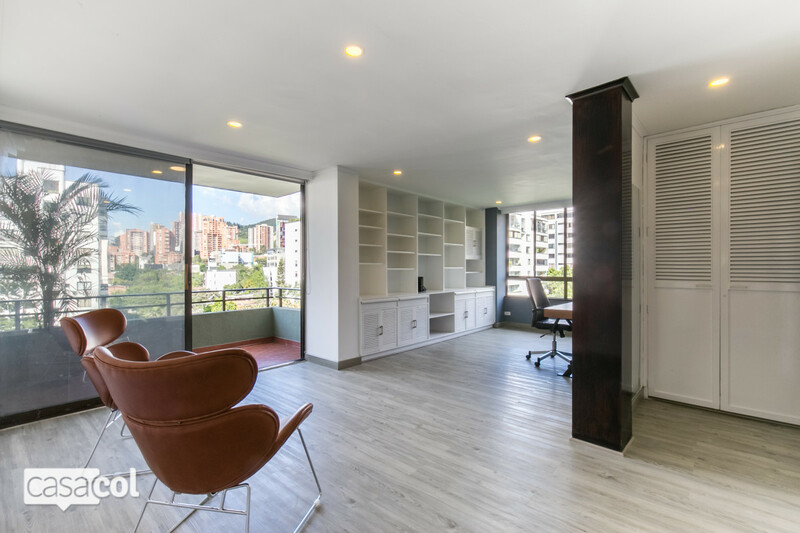 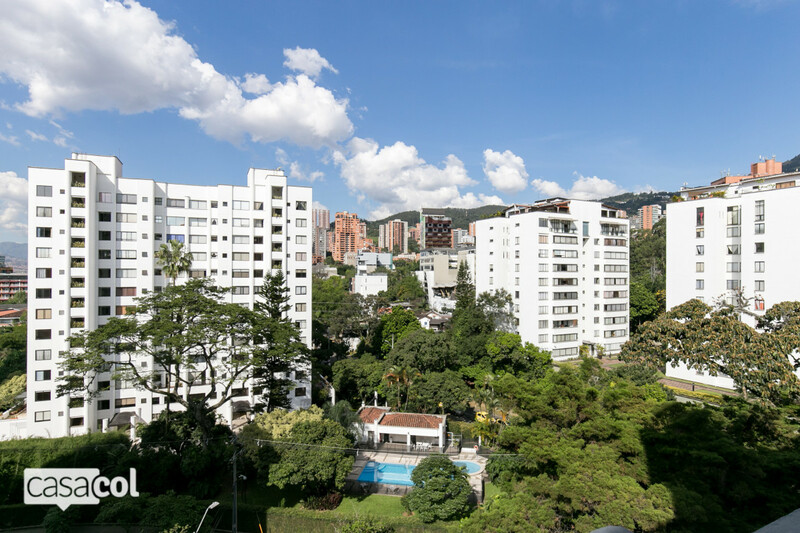 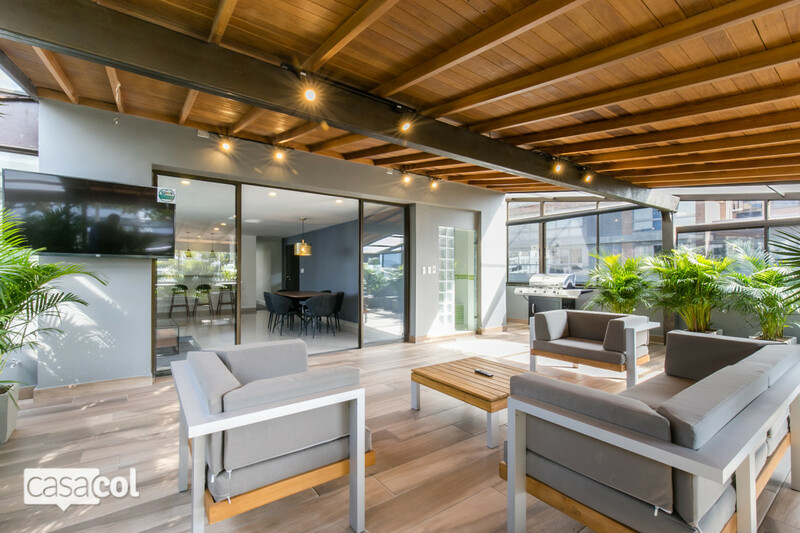 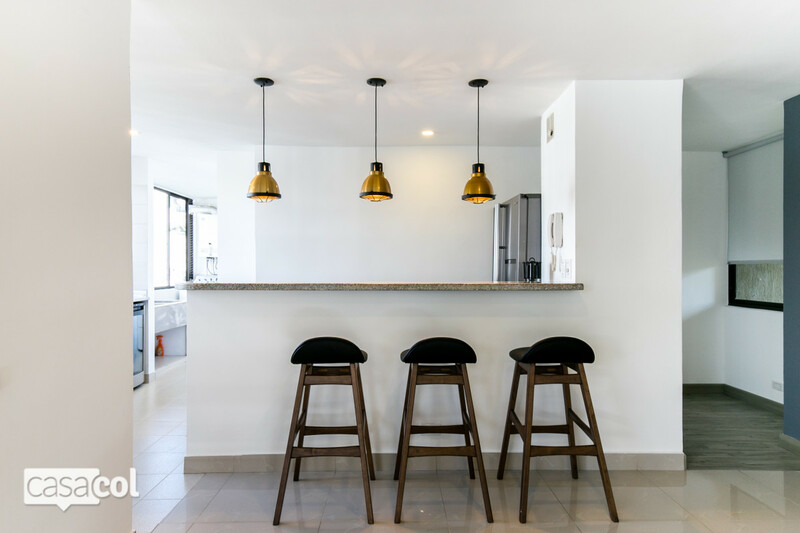 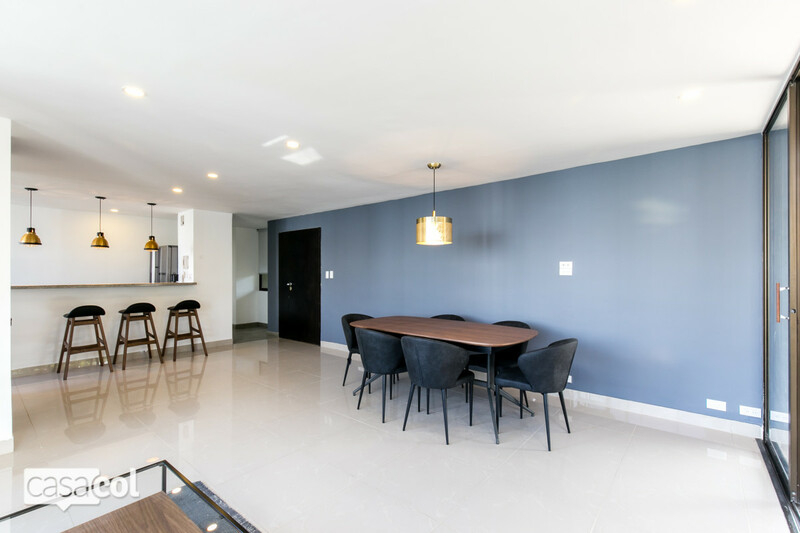 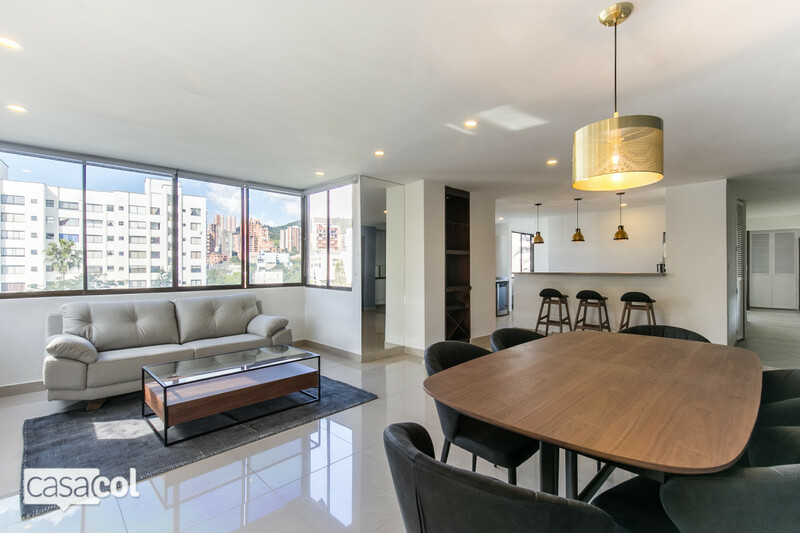 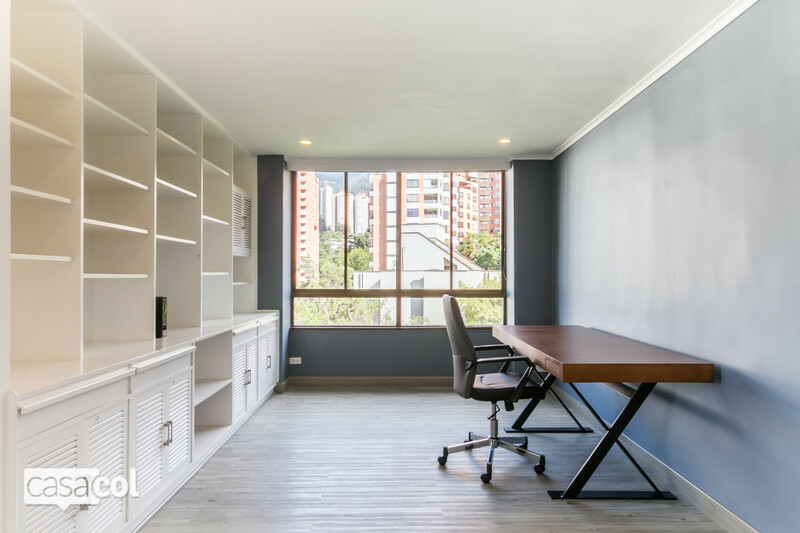 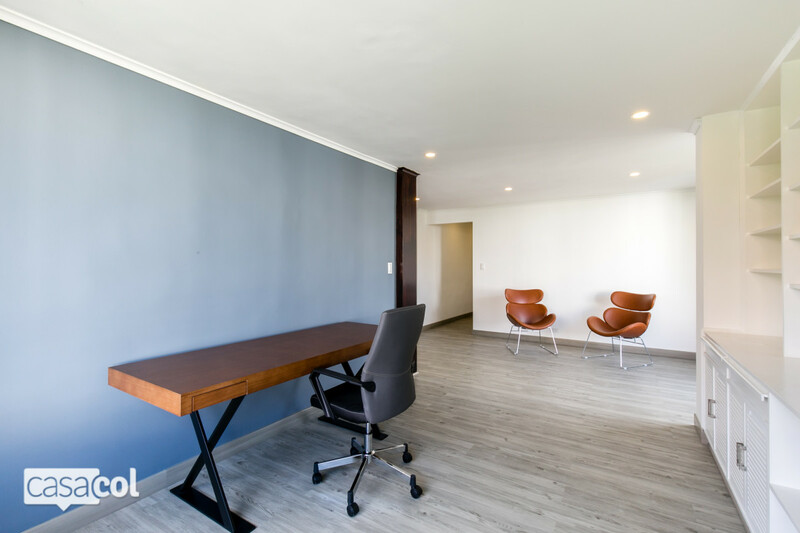 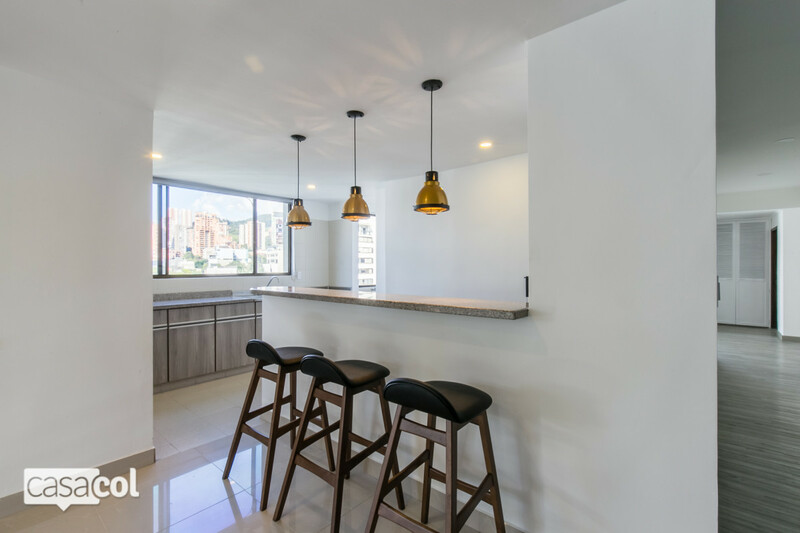 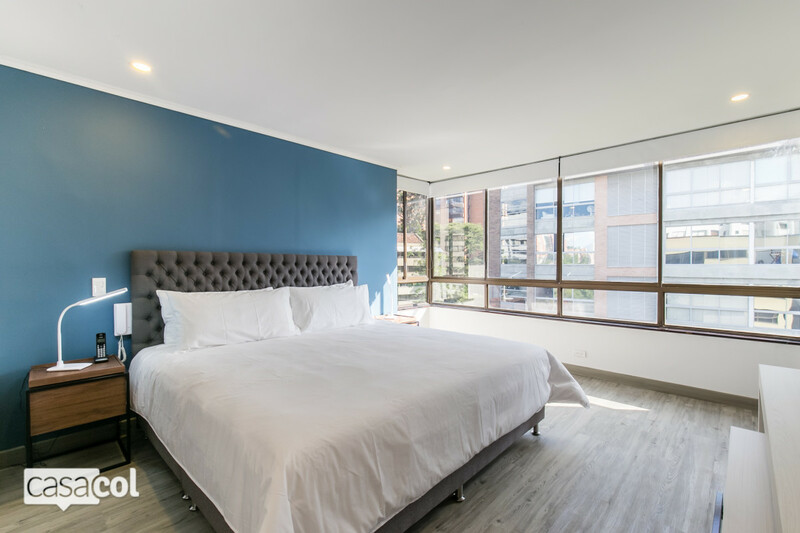 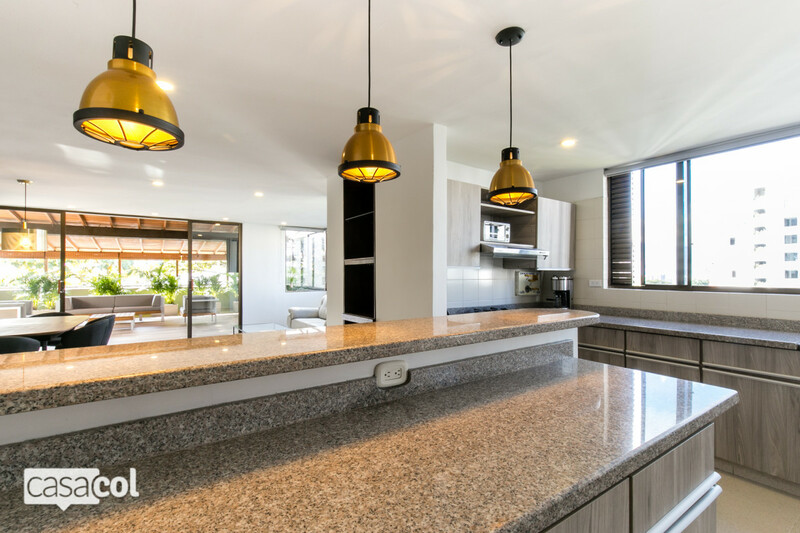 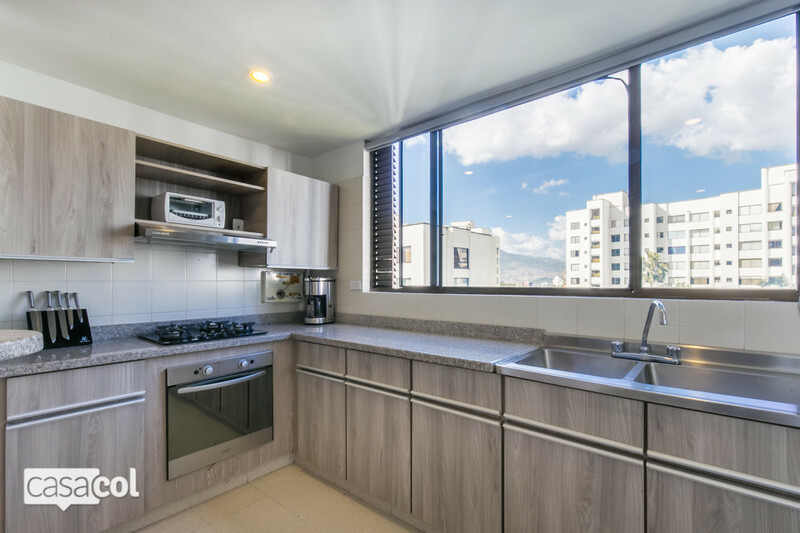 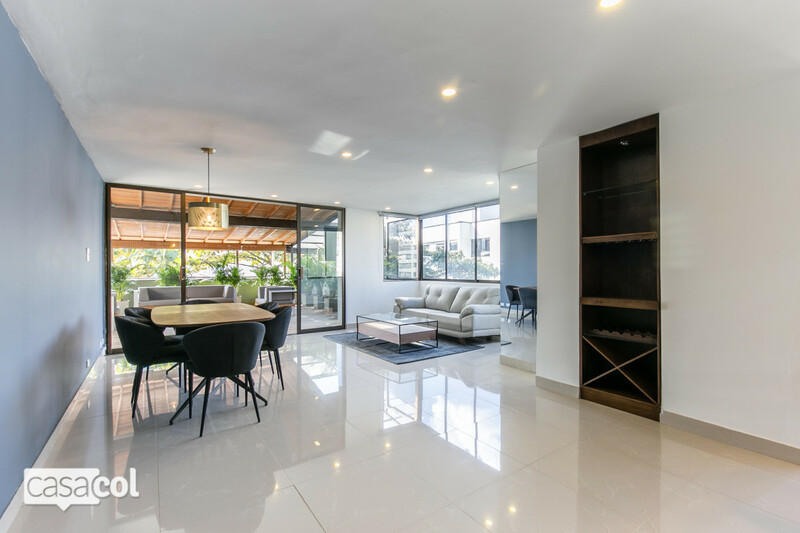 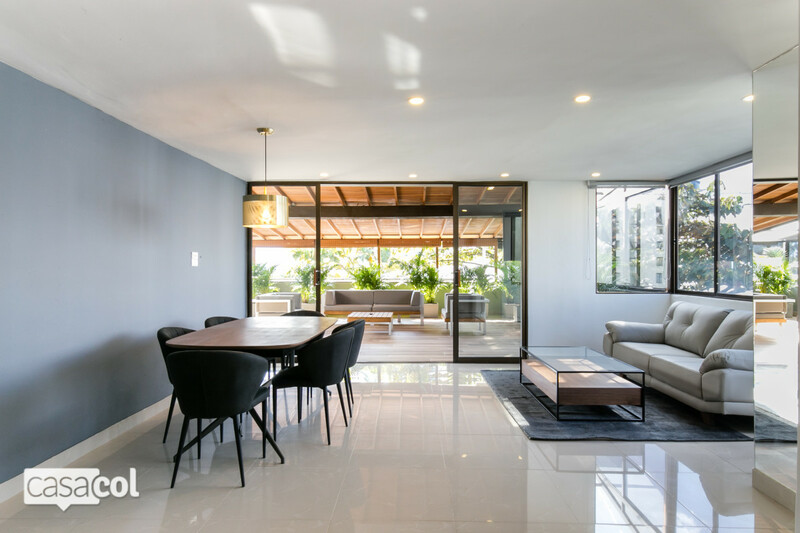 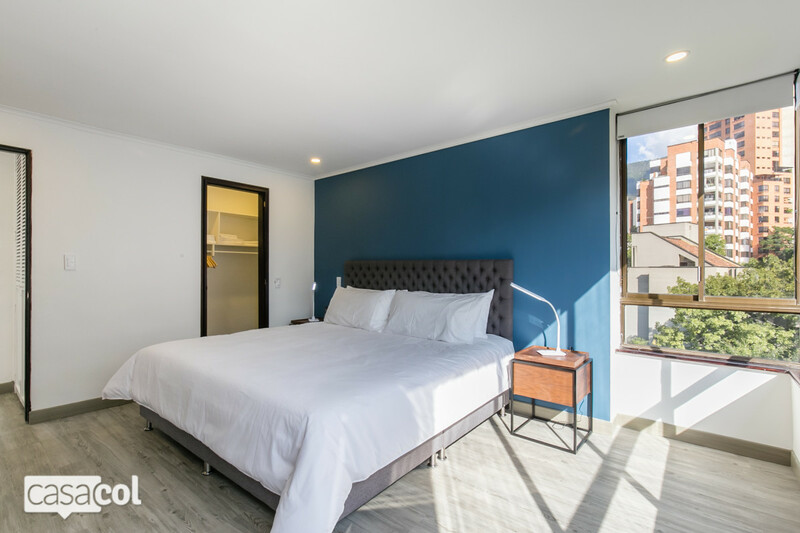 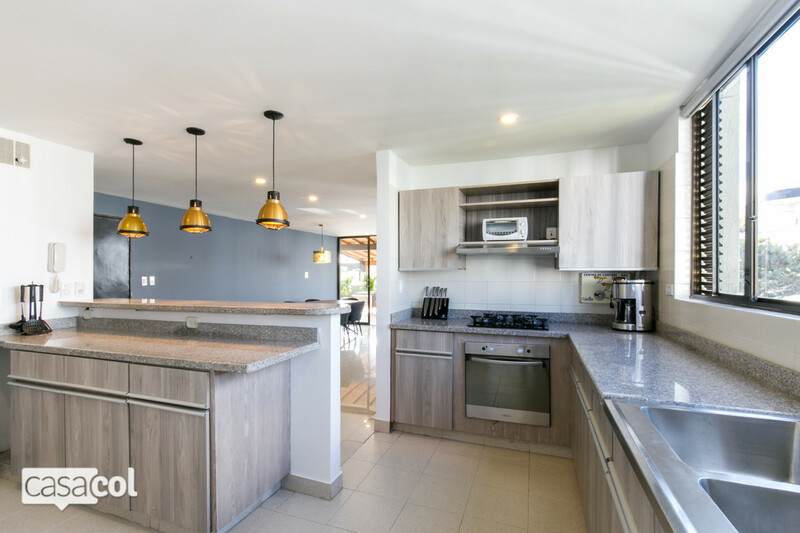 It is located 2 blocks away from Parque Lleras and the Golden Mile, walking distance to the best restaurants, cafes, gyms and shops in town. 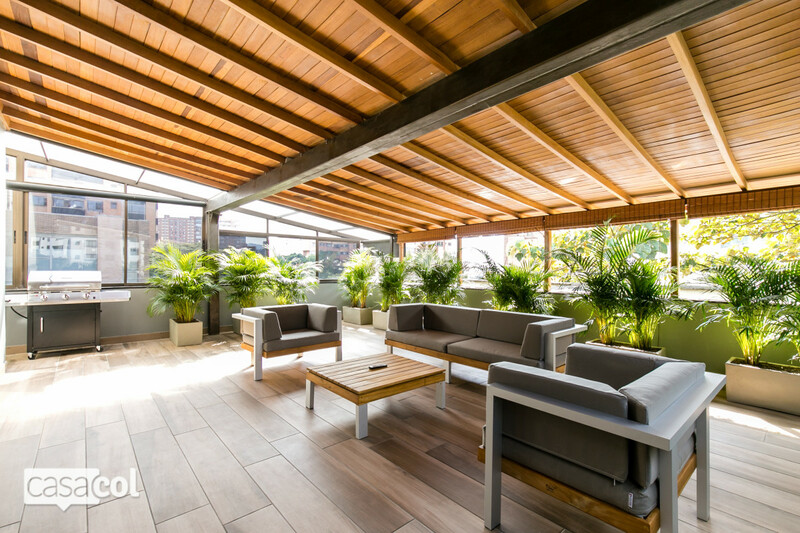 Bright, quiet and offering leafy views over the city, it occupies the whole top floor of this 24/7 security building. 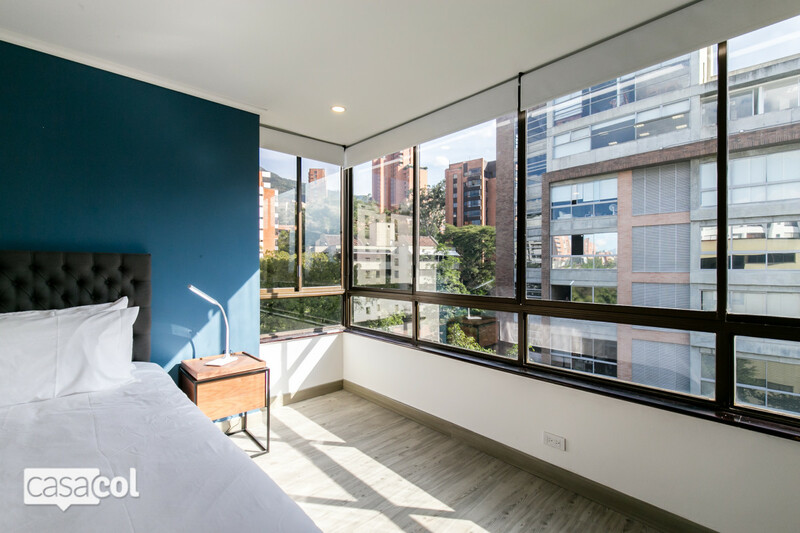 This apartment has everything you would need for any kind of stay whether you come to the city for business or leisure. 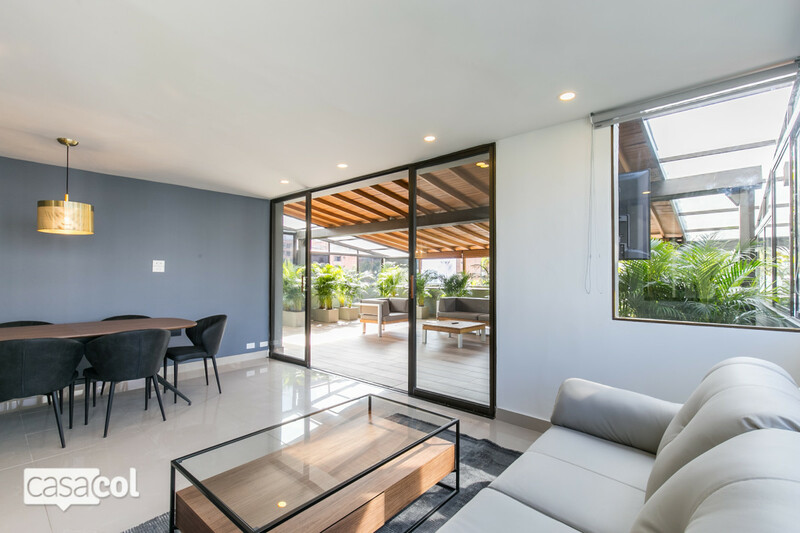 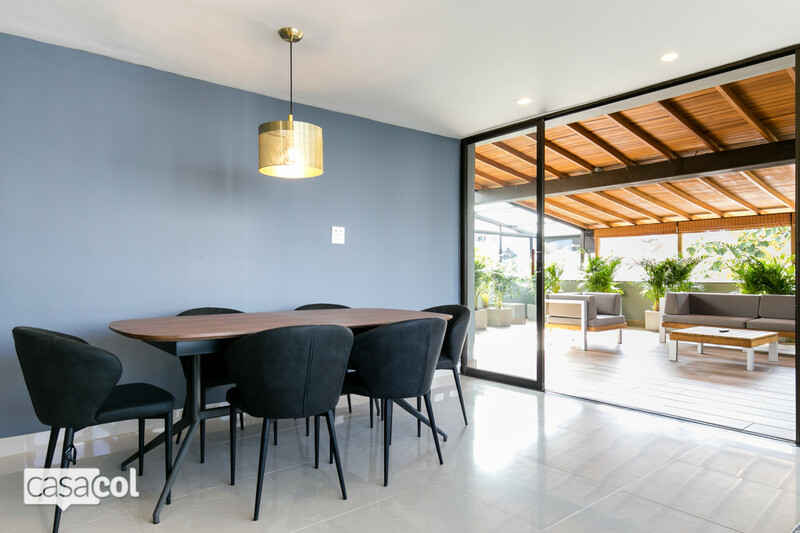 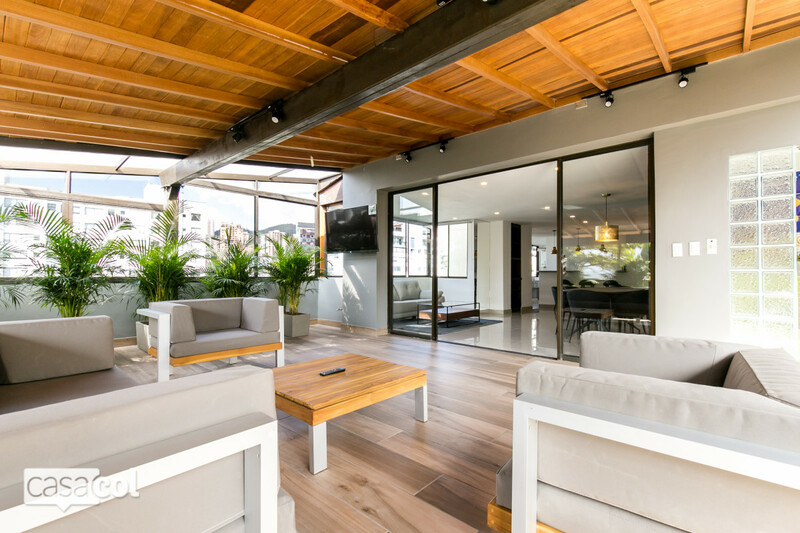 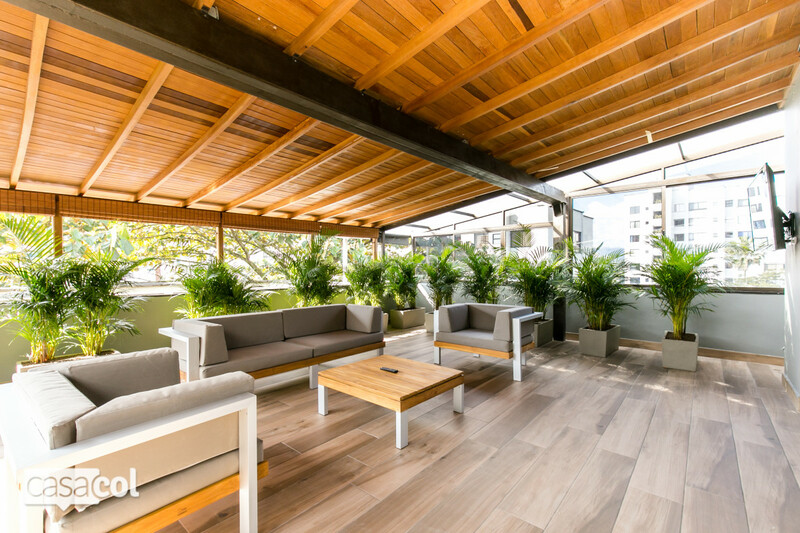 Boasting a private terrace where you can sit and enjoy a Colombian coffee every morning or a good BBQ with friends. 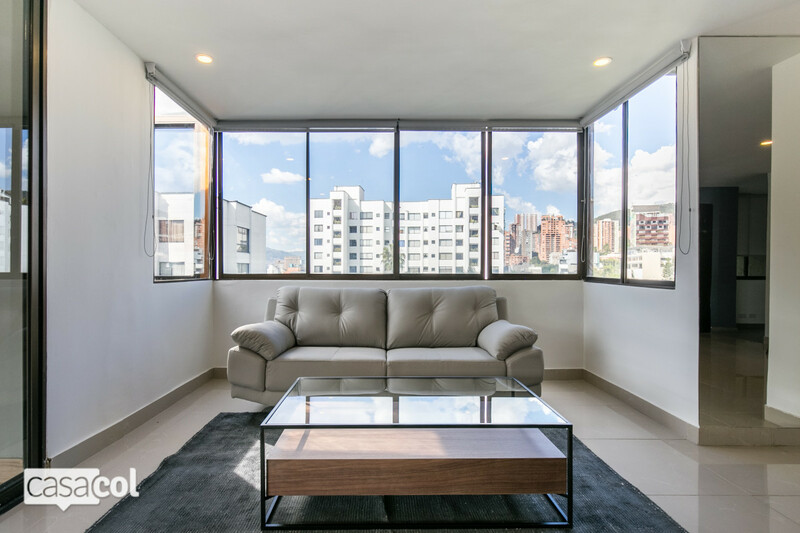 Stay connected with Wifi Internet and 2 TV sets with cable programs in English and Spanish. 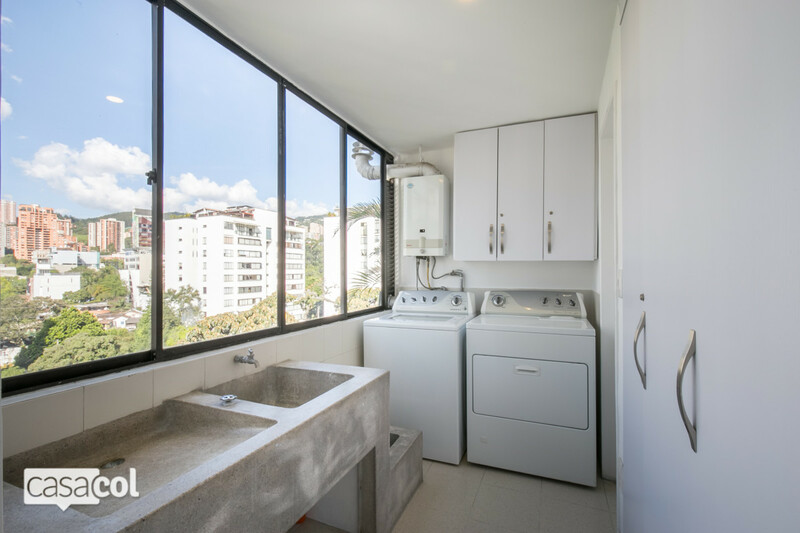 There's a fully-equipped kitchen with microwave, refrigerator, and oven; this home also has a washer and dryer machine inside the unit. 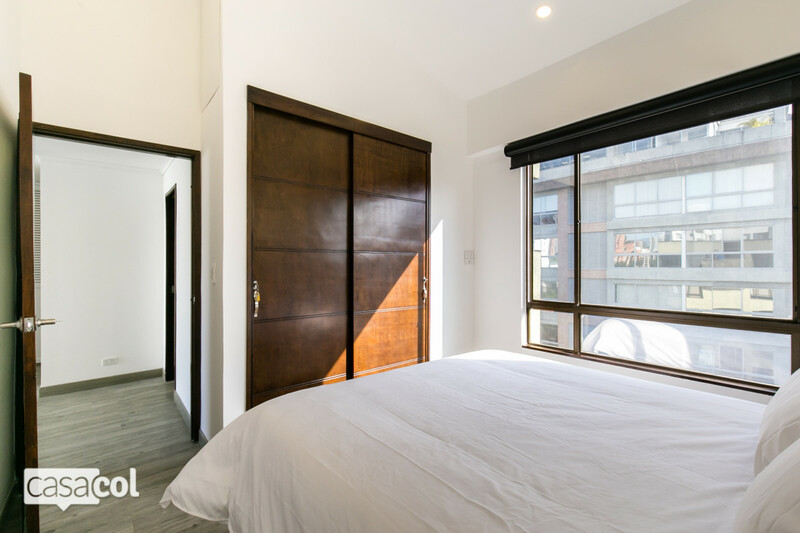 The master bedroom has a king size bed with en suite bathroom. 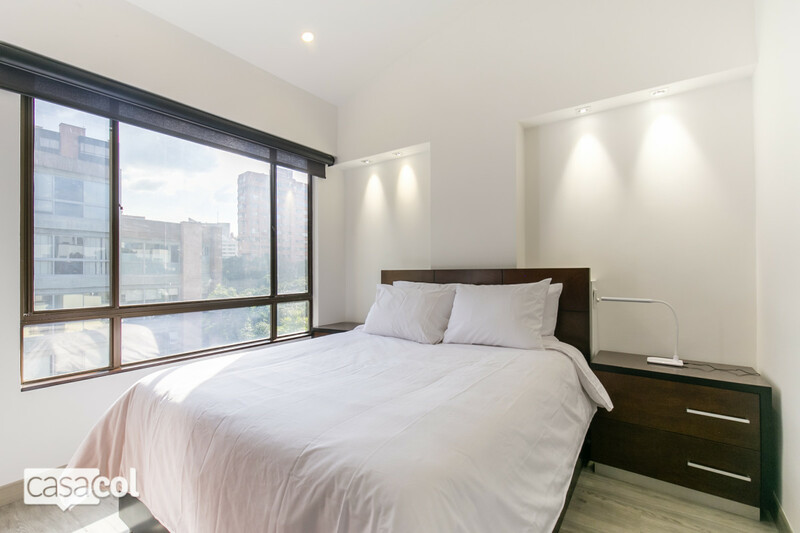 The second bedroom has a queen-size bed with closet. 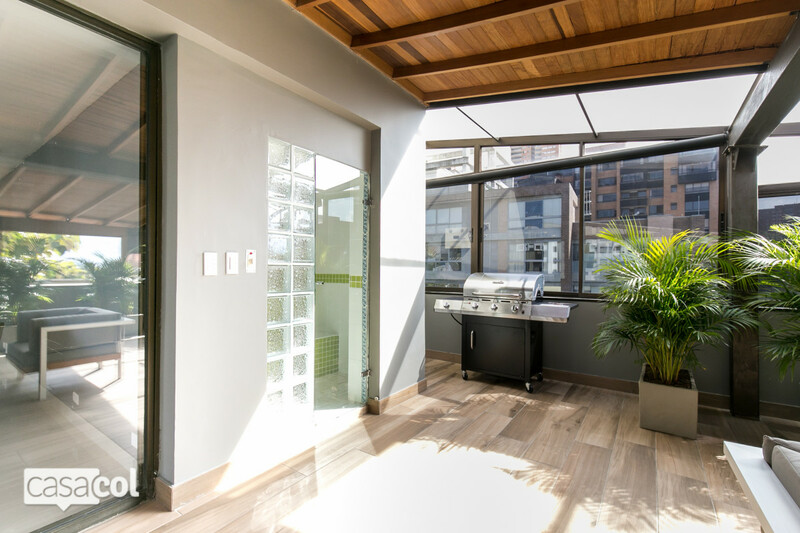 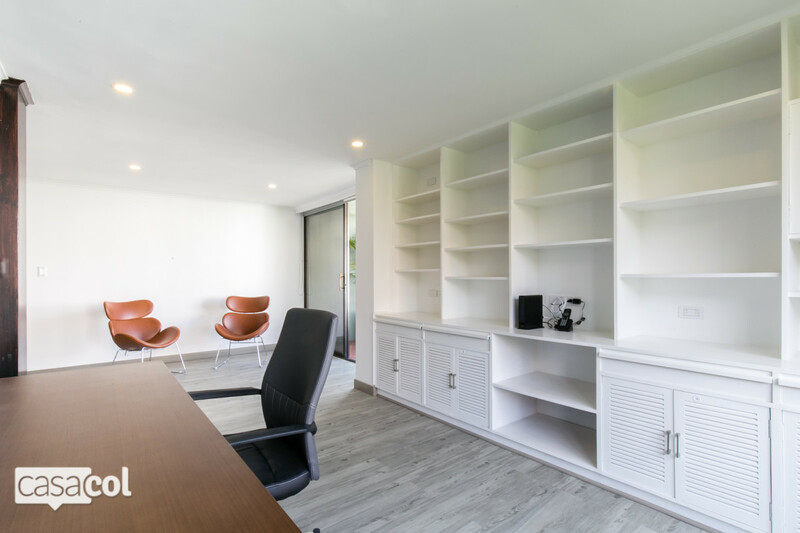 Also, there is an spacious office area with a balcony to enjoy a good breeze while working.